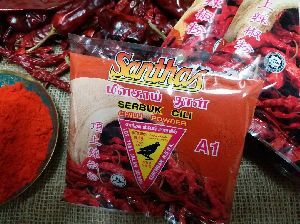 Santhas Chilli Powder 100% Natural, NO COLORING, NO FLAVORING AND NO PRESERVATIVES. 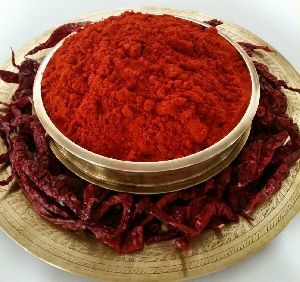 Chili powder is popular for vibrant red colour, pungency and good taste. The chili powder goes great with Indian curry, meat marination and kebabs. We, at SANTHAS use variety of red dried chilies source from Famous Land of Chili Guntur, Andhra for best flavour and rich red colour to our chili powder.